The Freedom From Religion Foundation is intensely opposed to William Barr being confirmed as attorney general of the United States. Trump nominated Barr last month to replace Jeff Sessions — an ironically apt choice given how problematically similar Barr is to his predecessor. During his previous stint as attorney general under President George H.W. Bush, Barr delivered speeches in which he “blamed secularism for virtually every contemporary societal problem.” Barr called for American law to be based on “God’s law” and attacked Americans who value a secular government, like those who work for and support the Freedom From Religion Foundation, as “clearly fanatics.” He even argued in the same speech that preventing public schools from organizing and imposing prayers on children, which is required by the Constitution, moves the nation away from Judeo-Christianity and causes “soaring juvenile crime, widespread drug addiction, skyrocketing rates of venereal disease, [and] 1.5 million children aborted each year.” This were not isolated statements, but themes and accusations Barr repeated constantly, going so far as to claim that “extremist notions of separation of state and church” had inflicted a “moral lobotomy” on the country. Barr finds in secular Americans an easy scapegoat. Had he blamed venereal disease or crime on another group, such as Jewish Americans, he would never make it through the Senate, FFRF charges. Barr will also work to weaponize religious liberty. A recent Washington Post op-ed of his praises the Justice Department’s support under Sessions of discriminatory enterprises, most famously in the Masterpiece Cakeshop case, in which a business demanded a license to discriminate based on the business’s religious beliefs. FFRF is also part of a secular alliance that is calling on the Senate Judiciary Committee to reject Barr’s nomination on similar grounds. The joint letter, signed on by Secular Coalition for America, American Atheists and Center for Inquiry in addition to FFRF, reiterates and amplifies many of the apprehensions that FFRF is bringing up. Barr’s views raise two distinct and serious concerns regarding his fitness to serve as the head of the Justice Department, the letter says. As attorney general, Barr would be tasked with defending the Constitution. His open disdain for the constitutional principle of a separation between state and church indicates that Barr does not respect the First Amendment’s guarantee of a secular government. And his blaming of secular Americans — 24 percent of all Americans are nonreligious — for society’s problems should be similarly disqualifying. The letter points out an additional problem with Barr’s scapegoating. The head of the Department of Justice must be committed to an objective, fact-based approach to fighting crime. Shifting the blame for crime to a minority group is not only discriminatory, but also a dereliction of duty because, by failing to fully understand crime’s root causes, it risks ineffective administration of justice. Barr’s dismissiveness for legal precedent extends to his disdain for reproductive rights. 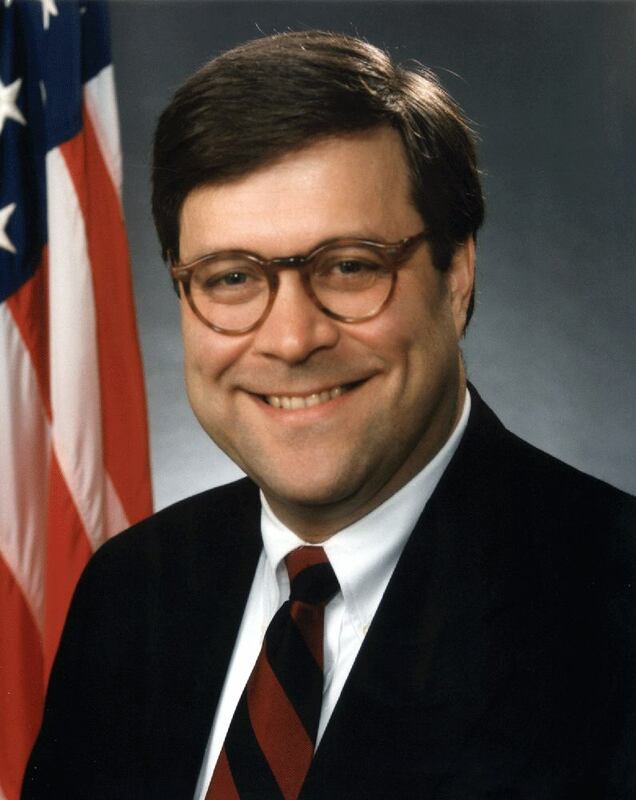 During Barr’s 1991 confirmation hearing, he testified that he “do[es] not believe the right to privacy extends to abortion.” He asserted “that Roe v. Wade was wrongly decided and should be overruled.” And although Barr assured this committee in 1991 that Roe v. Wade was “the law of the land,” as attorney general he acted as though it were not. Barr will do the same again — and he should not be given that chance. William Barr blames nonreligious Americans for all of the country’s problems, supports religiously based discrimination, and intends to continue advancing the unconstitutional policies that Sessions initiated. He also fundamentally misunderstands the importance of keeping church and state separate. For these reasons, the Freedom From Religion Foundation and other secular organizations strongly oppose his confirmation to be attorney general.